Only 2 more weeks until my open heart surgery! It’s hard to believe that it is only 14 days away, but I am so ready. Who looks forward to open heart surgery? This girl! I have come to the conclusion that this is not the quality of life I want to be living and if I can do something about it, I’m game. Dan and I drove back down to Ann Arbor this morning and what fun it was, seeing the town flooded with U of M fans, getting ready for the big game this weekend! One thing you should know about me is that I am one of Michigan’s biggest fans! My sister and I have gone to numerous football games (and dream of one day going to the Michigan vs. MSU game)! I was asked multiple times today if we were staying overnight to go to the game, but maybe next year, minus the surgery of course! So I have to say…GO BLUE! It was a packed day with 6 appointments, but they did not disappoint with being on time for every single one of them. We went every which way on floor 3, but they led us from one place to another with ease. I am not abnormal there with regards to my age, but it’s not like there are multiple 33 year olds hanging out in the waiting rooms! I always get a few comments of “oh its nice seeing someone young!” Younger women aren’t supposed to have heart problems I’ve realized more and more as I look at those sitting around me! And they are probably thinking the same thing. Today I had 8 tubes of blood drawn, EKG, x-ray, vitals token, history and physical, met with a procedure nurse, and had a breathing test. Thus far, everything has come back clear and how good it feels to be 100% prepped for this surgery! I will be having the surgery done through my right ribcage, called a right thoracotomy. They will pry my ribs apart slightly, cut through the muscle and tissue, to access the valves. They will be doing a repair on the mitral valve and most likely on the tricuspid valve as well, as both have severe regurgitation. I will be put on a heart lung machine, making it “open heart,” and will wake up connected to more machines and tubes, keeping my body going. It’s intense and like they said, painful, but it will be worth it. The incision will extend from the front to the back on my right side under my arm near the ribs. I will be vented, have chest tubes, neck and arm ivs, and a catheter. Like the nurse said, I will look like a sound board! They said I will be in the hospital 5-7 days, leaning towards 5, due to my age. I will be up and walking the day after surgery, which amazes me! Every breath will be hard at first, but they said re-teaching your lungs to breath is so important. My surgery is set for 2:40pm, with an arrival time of 8:30 on October 20. Might be some waiting, but because I am the second case that day, they want me to be semi-ready to go in case the first case gets done quicker or gets cancelled. Lots of little things to do and not do before surgery, but like I said, we are so ready! Pray that I can stay healthy, that our family can too, so that nothing would prevent me from having this surgery! Like a friend told me the Spirit impressed on her to tell me…”I’ve got this for you” and how true that is! Even in times of surgery, we still want God’s name to be glorified and furthered. And in that, we believe He will see us through this too. It’s a faith builder and faith tester, but as Christians, what more could we ask for? And we couldn’t ask for anything more today! Our questions have been answered, our minds ready, and our faith, we hold on tight to. I want to thank you all for your support for us in more ways than we could have ever prayed for! That tangible feeling we get from the body of Christ is so real. Thank you for being an extension of His love. 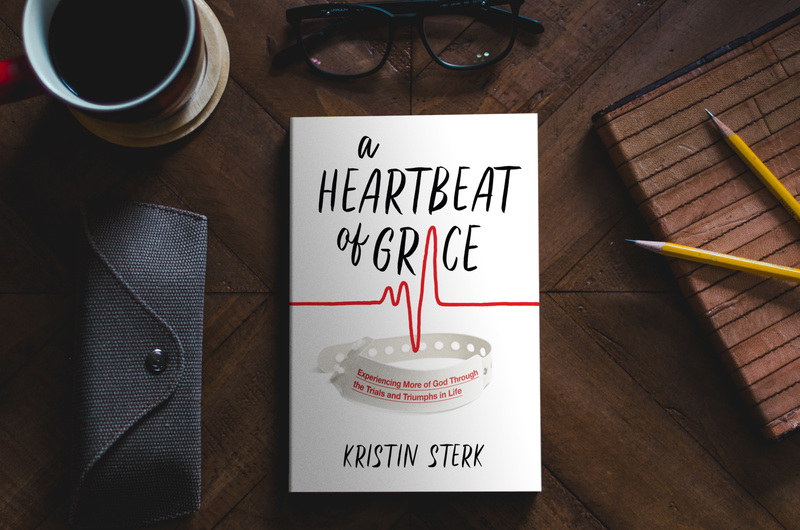 Keep up to date on all of my blog posts by following my Facebook page, Kristin Sterk. You can click “Like” on the right sidebar, facebook link! Praying for you and so is my church. I had surgery long ago on my jaw at U of M. They were all so kind and wonderful. Your attitude is so important and you have such a positive one, assured that all will be well. God is good all the time!